The University of Kentucky Football coaching staff reeled in the Sunshine State offensive lineman, Gerald Mincey‍ on Monday. He hails from Cardinal Gibbons High School in Fort Lauderdale, Florida. Mincey's high school should sound familiar to Kentucky fans as Kentucky signed two 2019 recruits from the school; Three-star quarterback, Nik Scalzo and three-star tight end, Nikolas Ognenovic. 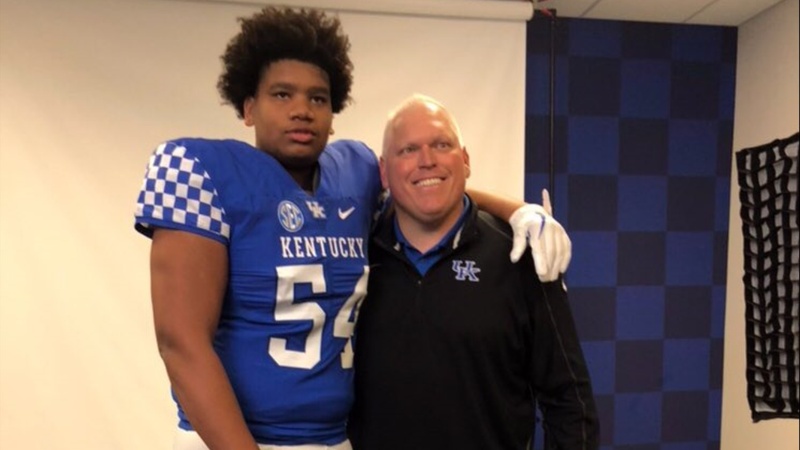 Mincey is the second offensive lineman from Florida to commit to Kentucky for the 2020 class joining three-star Richie Leonard‍. Kentucky 2020 recruiting class will be the smallest under Stoops as he mentioned at his National Signing Day press conference. The expectation is the Cats will top out at 16-17 players. With attrition, the number could go as high 19, but still would be considered a small class. The Kentucky staff will be very selective on who they accept commitments from with over 300 offers already out in the 2020 recruiting class. Stay tuned to Big Blue Banter as this story develops.